Cooking method has a significant impact on your food. Grilling and frying are the two most popular methods you can use to cook food. For grilling, you have to place food on a wire grid which is placed above or under a dry heat source. In this method, food cooked by using thermal radiations. For frying, food dipped into a pan or fryer that contains hot fat or oil. The high heat conductivity and high temperatures cook the food. In this way, food has a great aroma and crispiness. However, the quality considerably drops down when fried. That’s the reason for grilling foods is a healthier alternative. When you grill food, you will intake less fat because the excess fat drops off. Fats are high in calories. Frying adds a lot of fat to your foods. While grilling, a very little amount of minerals and vitamins loss. Especially veggies become nutritionally advantageous. Fried foods’ nutritional value is very poor. Proteins turned into acrolein which is a known carcinogen. Grill locks more moisture than frying, so there is no need of extra butter. You will eat less unhealthy stuff. Fried food uses more fats or oil and absorbs it. These fats cause obesity. When you toss meat on the fire, it preserves more thiamine and riboflavin. Fried foods increase your cholesterol level due to its high fats. The best option for getting maximum nutrition along with flavor is grilling. It requires minimum added fats and results in healthier foods. Grilling also helps in weight management and lower unhealthy cholesterol levels. On the other hand, fried foods absorb a large amount of fat. These foods increase the cholesterol level in blood and cause greater health risks. Fried foods cause health conditions including stroke, obesity, heart disease, type-2 diabetes, and high blood pressure. Grilling helps to reduce the risks of such diseases also grilling foods require shorter cooking time. It ensures the minimal loss of vitamins and moisture from vegetables. 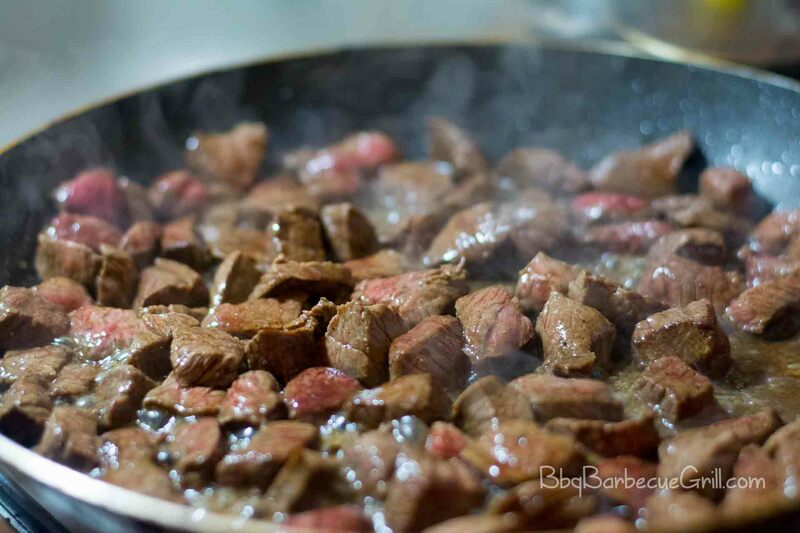 Both pan frying and grilling create flavors to steak by applying heat to the protein. These chemical reactions between sugars and proteins create hundreds of flavored compounds, giving a rich taste. Pan-frying involves submerging your food into hot oil. When you pan fry your steak, the added fat makes the food brown. Your steak also loses moisture and perishable vitamins. Grilled steak has a reduced amount of fat, as the fat drips off after cooking. It results in low-calorie content. Grilling keeps the steak juicy, tender, and also gives your food a smokey flavor. Due to a little loss of moisture, it ensures high nutritional content present in the steak. Grill vs. fry – both methods are used to cook burgers. Grill marks on burgers are aesthetically pleasing. 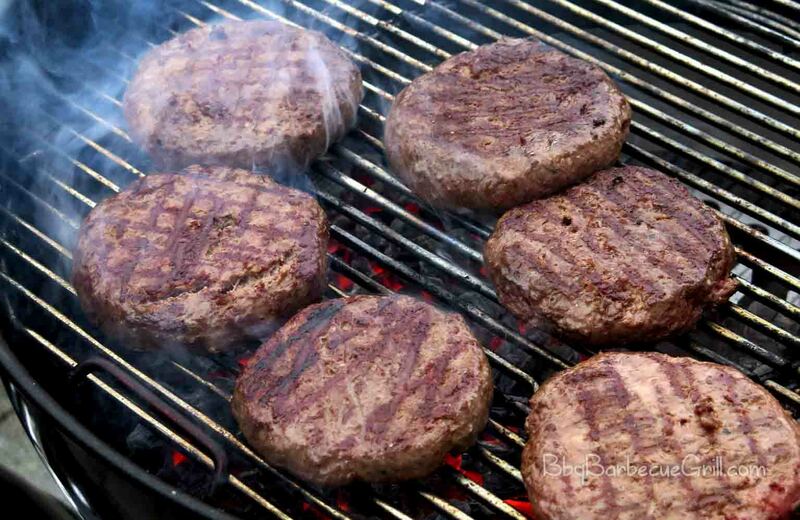 While cooking burgers on grill, burgers will be cooked in their fat. You don’t need to add extra fat to burgers. That’s why the low-fat content makes you fit and improve your cardiovascular health. For frying burgers, there is always a need for oil and fats. There are many types of pans for frying burgers. Thicker and heavier metals are best for this purpose. Frying gives burgers a different flavor as compared to grilling. However, if your burgers are big, then frying is not a good option. Frying means cooking food with fat including deep-frying, stir-frying, and pan-frying. In stir-frying comparatively less oil used. All three forms lead to few heat-sensitive vitamin loss. Moreover, pan-frying and deep-frying are less healthy as compared to stir-frying. It’s due to the formation of acrylamide and a high absorption rate of added fats. Grilling is defined as a dry heat method. A metal grid used in grilling to cook food without using fat or oil. It is the fastest way of cooking for a group of individuals. Also, grilling helps to cook delicious foods healthily. Each type of grill including wood, charcoal or gas has a different flavor. According to the report of U.S. Department of Agriculture National Nutrient Database, a breast of chicken with skin fried has 590 calories per 1/2 pound, with 20 grams of carbohydrates and 29 grams of fat. Fried chicken contains more calories due to fats. The same size of chicken breast grilled on the rotisserie has 417 calories, zero grams of carbohydrates and 18 grams of fat. Grilled chicken has a great difference of calories. Furthermore, grilling retains more protein than frying. In grilling vs. frying chicken comparison, grilled chicken is always a healthier choice. Plus, it will not take away the flavor of the meat and makes a natural taste for you. The ultimate test is a homemade burger when it comes to the grill vs. fry debate. While using a grill, you can enhance your burger’s flavor with different smokes. Grill burger is juicy and smoky in taste. Another great add-on that grilling is a faster way to cook burgers. When you are cooking a large amount of burgers grilling is the best choice. Using the frying method for cooking homemade burgers requires different finesse and outcome is also different. The more fat added to burger increases its calories and taste is different. Frying food is not a healthy choice, and it takes more time to make burgers. Is pan frying chicken in olive oil healthy? As most individuals know olive oil has great health benefits. Pan-frying, stir-frying, deep-frying and sautéing are different methods, but the common thing is the temperature of the cooking oil. During frying chicken in olive oil, it absorbs some fat and increases its calories. Besides of all health benefits, still frying chicken in olive oil is not healthy. All oils including olive oil are purely fat. That’s why when you fry your food either chicken or vegetables the extra fats added to them. When consumed, this kind of food will increase your cholesterol levels and increase stroke risk. Is pan-frying without oil healthy? Most individuals will be surprised to know that it’s easy to cook food without any oil. As some oils are always advertised as your healthy foods, in reality, there is no healthy oil, not even flaxseed oil, coconut oil, or olive oil. Surely, oil contains more calories, and it is pure fat. You can use non-stick pans and pots to cook, as the food will not stick to it. Use a heavy-bottomed stainless steel and good-quality pan for cooking. The food you cook without using any oil is nutritious. The same way you can steam, boil, poach and stew your dishes. The grill vs. fry comparison is all about flavoring and the cooking method. Each cooking method has its drawbacks and benefits. When we talk about frying, it made food with more crispy outer shell but absorbed extra oil. Frying is an unhealthy cooking method as compared to grilling due to high fats. Grilling is a highly recommended cooking food method. It gives your foods an extra juicy and smoky flavor with pleasant grilling marks. 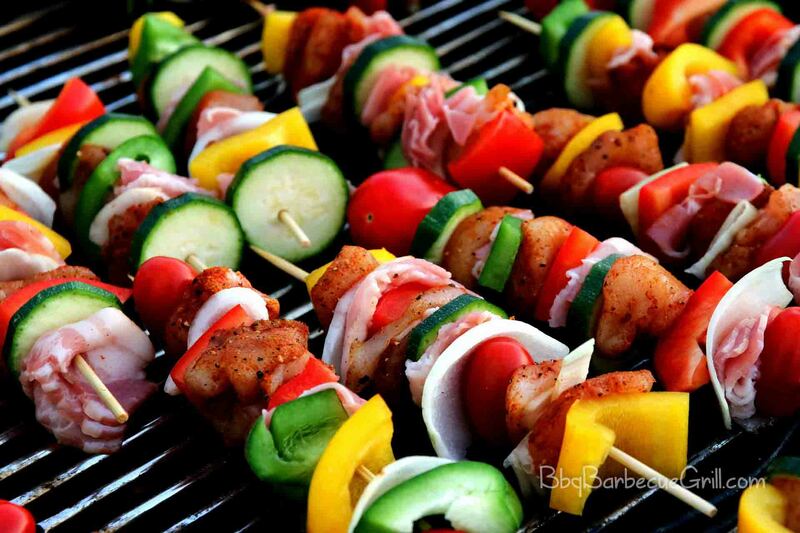 Grilled foods have lower calories than fried foods and help you to stay fit. Moreover, grilling requires a very short time for cooking and results in a little loss of vitamins and moisture.